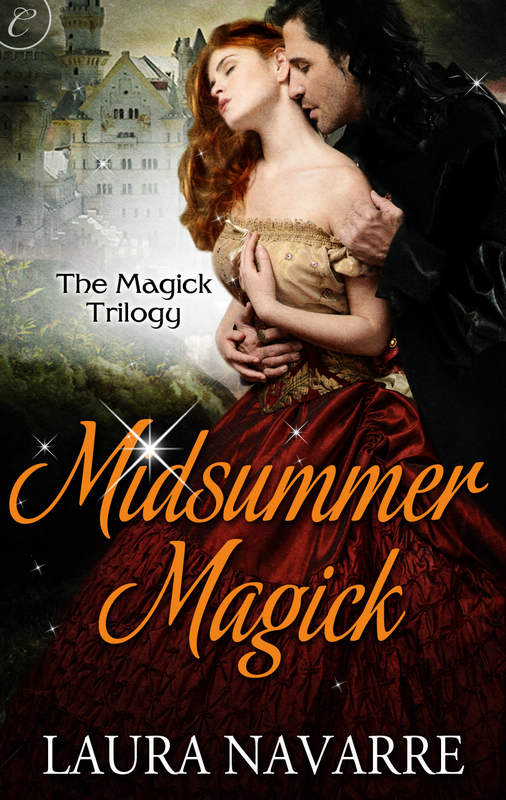 In March, I had the wonderful pleasure of reading and reviewing Laura Navarre's Magick by Moonrise and I am very excited to welcome her to my blog as she tours for the second book of her The Magick Trilogy, Midsummer Magick. LitConnect is doing something fun for this tour: Laura is revealing an exclusive excerpt that is part of a consecutive block from the book at each stop and I am stop #1! Make sure to drop by Laura's other stops to get the full preview of this new book from an amazing series. To check out Laura's other stops, click here. 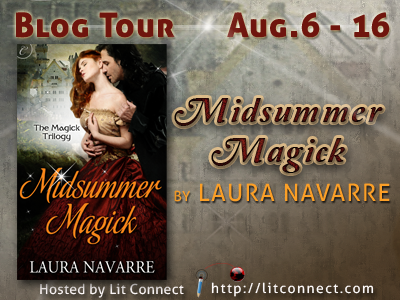 Laura is also giving away digital copies of Midsummer Magick via Rafflecopter. See below. Series: Book Two in the award-winning Magick Trilogy, but it stands alone -- don't need to have read Book One. When the Angel of Death falls in love with life, will a Tudor princess pay the price? The Virgin Queen’s Court whispers about shy scholar Lady Linnet Norwood, who spent a year and a day trapped in the Faerie realm and returned as a ruined woman. Linnet, however, is not yet free of magick. Otherworldly forces plot to use her to incite a bloody uprising that will twist the fates of mortal and Faerie realms alike. Exiled angel Zamiel wavers on the edge of accepting an offer from his fallen father to become Prince of Hell. Lucifer knows Lady Linnet’s significance, and urges his son to pursue and protect her for sinister ends. Lady Linnet Norwood is the whispered scandal of the Tudor court. A mysterious message has summoned her to an abandoned inn, where she hopes to learn the secret that will redeem her. With sickening certainty, Linnet realized none of this odd company had come here to aid her. They knew who she was, aye, but cared naught for her desperate quest—save to end it. She’d been a fool indeed. A heavy footfall sent her spinning away, heart fluttering in panic, barely in time to elude the giant’s grasp. A barnyard implement lay against the wagon, a rusted pitchfork with broken tines. With both hands, she snatched it up. The rush of footsteps made her whirl, pitchfork slicing sideways through the air. Effortlessly the fool danced aside, hatchet whistling overhead. She was terrified he’d hurl it at her, frozen with the cold white terror she knew so well. A cloud of memory fogged her mind. “No one will come, little bird,” the fool whispered. The lone tine that remained made a poor weapon, but she gripped the handle so hard her fingers throbbed. Surely none of this was real, no more real than the fevered fancies of a madwoman who thought herself kidnapped by Faeries, while in truth she wandered witless through the wild. Surely she must waken, just as she’d woken from that dream, her brain swimming with confusion, the nuns’ murmured prayers in her ear. The giant’s leather breeches were slick with blood, gushing from the deep punctures, dripping into the straw. The high animal scream had died in his lungs, and she prayed never again to hear such a sound. Through teeth that chattered with cold and terror, she scrambled back into the wagon and gasped out the Lord’s Prayer. A short cry from somewhere pierced her words. From her elevated position, her gaze swept the courtyard, seeking the fool and not finding him. But there, near the tunnel, lay the crone’s lifeless form, dark skirts spilled like ink around her. Uncomprehending, Linnet searched the courtyard. Where was the fool? But the figure who strode into view was no fool in motley. Someone else now commanded the courtyard—a lithe shadow clad in jet and glittering jewels. God love her, could this be rescue? This was no ragged vagabond, not with a nobleman’s short cape slung fashionably over one shoulder and pinned with a starburst ruby the size of her fist, or the wicked rapier like a streak of silver fire that swung at his lean hip. A spill of raven hair poured around his shoulders beneath a dashing plumed hat as he stalked toward her, silent and graceful as a cat on the icy stone. Silhouetted against the swirling snow, his slender frame seemed almost to glow with a nimbus of pearly light. Inspired by the sinister realities of her real life, Laura writes dark Tudor and Renaissance romance with fantasy elements. A member of Romance Writers of America, a Golden Heart finalist and winner of the 2012 Pacific Northwest Writers Association award for romance, she’s currently writing The Magick Trilogy, a series of dark Tudor romances with elements of Arthurian legend and fallen angel heroes, for Carina Press. Coming next in this award-winning series is Midsummer Magick in August 2013. Living on an island in Puget Sound with her screenwriter husband and two Siberian cats, Laura divides her time between her writing career and other adventures for government clients. 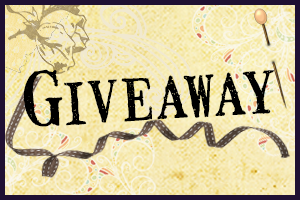 Laura is also giving away digital copies of Midsummer Magick via Rafflecopter. To check out Laura's other stops, click here. Exiled angel hero & shy scholarly heroine. How yummy is that! *fingers crossed* pls pick me! I enjoyed the excerpt and look forward to reading the book.